What does 2019 in utilities have inshore. We look at key products and services focussed specifically on the utilities sector in our latest blog. STL has just introduced a range of low voltage shrouding with a made to measure service for our customers. 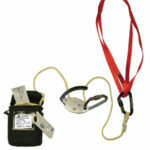 Predominantly used to cover/shroud live or energised conductors or equipment. The shrouding comes in 10m rolls and can be cut to specific sizes and fitted with Velcro and supplied as a kit as determined by the customer. Kits are currently being supplied in handy carry bags. The Polecat is a true innovation in fall arrest for utilities linemen and women. 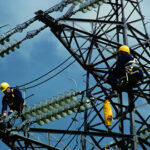 Developed in conjunction with a major electrical utility. The specific aim with the Polecat was to make a pole choking device which is easier to use and adjust, light weight, highly effective and cannot be cheated. The Polecat incorporates significant innovations including a mini shock absorber (Pat. App.) to reduce forces on the user in the event of a slip or fall on the pole. The product meets EA Tech Spec 43-123, 1999 as an A1 device. It incorporates Kevlar cut resistant rope on the Roperat adjustable part. It has recently been drop tested to 140 kgs, 150 kgs and 160kgs and arrested in each test in less than 20cms. STL is expanding its range of utility training and is currently carrying out a new training programme for utility companies and their contractors which covers the correct use, inspection and maintenance of pole climbing equipment. This complements the training currently provided for Pole Top rescue, MEWP rescue and Tower rescue. 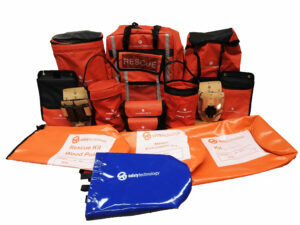 STL provide a range of products for these rescue scenarios. Keep an eye out for more exciting developments for the utilities sector over the coming months. If you haven’t the best way to keep up to date is via our newsletter.